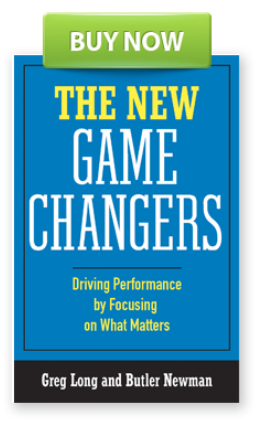 In a world filled with so much that demands our attention coupled with even more distractions that pull our attention away, how do top performers cut through the clutter and find those vital few components that matter? Our research with top performers across multiple roles in numerous industries has produced an intriguing theory that we would like to present for your consideration. Top performers seem to naturally spend most of their attention in the top right quadrant, with intentional attention to specific items that produce high value in their roles. Average performers, on the other hand, spend much of their time and attention in the bottom right quadrant, adding up activity points that deliver little to no value and fail to produce the results they or their corporations desire. Those who spend the majority of their attention in the bottom left quadrant seem constantly distracted by activities that don’t matter, so consequently they make up the lowest portion of the performance bell curve. In the rest of this series, we’ll look at examples from the field of how both managers and performers alike contribute to selecting which quadrant to spend their scarce attention. How would you rate the use of your attention budget? In 2002, Thomas Davenport coauthored a book challenging some of the basic assumptions of the new economy. In that book, The Attention Economy: Understanding the New Currency of Business, Davenport asserts that the old currencies of ideas and talent are no longer sufficient. He says that the new currency of attention is giving rise to what he calls Attention Management and explains how pioneering organizations are using it to win in the marketplace. While we agree with Davenport’s basic premise, we don’t think he fully appreciated the importance of his thesis on the workplace and specifically on individual performers. He was concerned mostly with the notion of corporate attention and how organizations can win our attention against the many competing factions present in the information overloaded world of mass media, social media, texting, and other evermore temporal media. Today’s corporate employee faces the same flashy, fragmented shattering of attention in the workplace. Increasingly, typical performers find it impossible to determine where to place their scarce attention. How individual performers choose what to pay attention to has become one of the most pressing questions in organizations today. In other words, where do they focus their fragmented time and energy or, in Davenport’s terms, their attention? 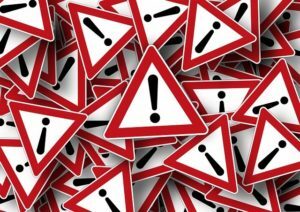 The inherent danger we see all too commonly is that people focus their attention on multiple things that are flashing in front of them but that provide little or no impact for the business. Said another way, average performers often excel at doing what doesn’t matter, while top performers have developed filters that allow them to excel at doing what does matter. Top performers know where to spend their scarce attention! Developing a deep understanding of the filter used by top performers offers the hope of a cure for one of the most prevalent ailments of today’s workplace. How do you decide what to spend your attention on?